The pictures above are of Albert "Ray" Childs. Top left is Ray in uniform. Top right was taken on 20th August 1916. 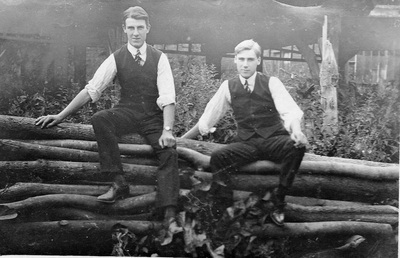 Bottom left is thought to be Ray and brother Harry. Bottom rightwas taken in June 1915. Above is what could well be a photograph of Ray Childs in hospital, possible at Kelling and opposite is the cleaned war memorial with Ray's name inscribed in 2014. It is with sincere regret that we record the death of another of our Hethersett men who served in the war. 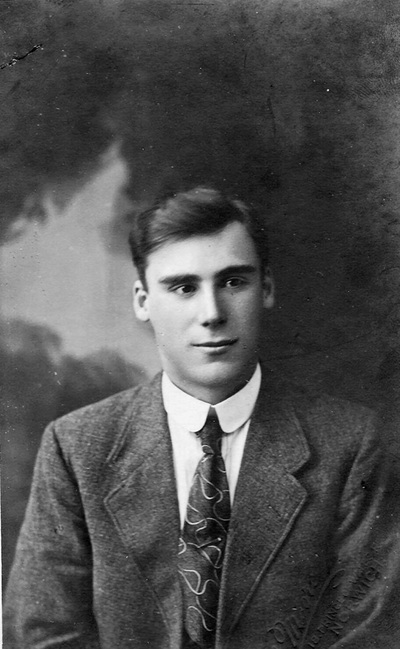 Ray Childs enlisted in the R.A.S.C M.T on 25th October 1916, and went out to France in the following May. He was severely gassed in 1918, but did not return home. Shortly after returning to duty he succumbed to an attack of dysentery and was admitted to hospital on 1st Sept of the same year. 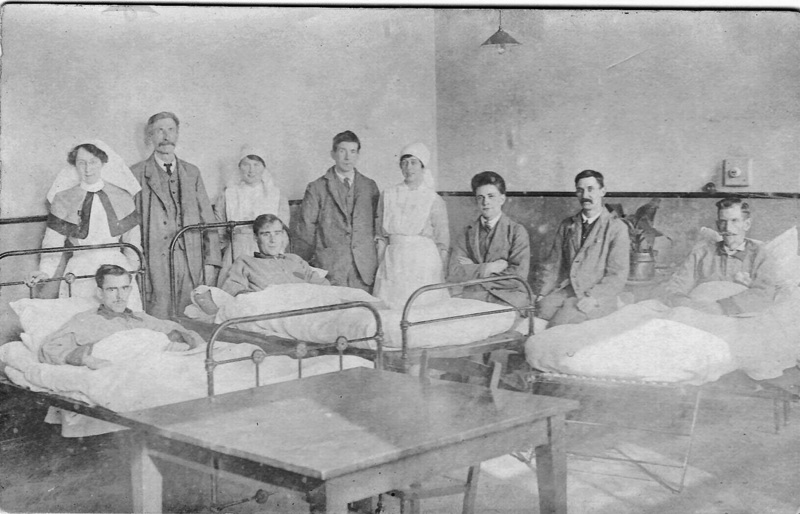 A few weeks later he was brought to England to the Toxteth Park Military Hospital, Liverpool. He recovered sufficiently to be sent back to duty at Shoreham, but it was only temporary, and shortly afterwards he was admitted to hospital again, in London. He received his discharge on 30th April, 1919 and came home, but his health was in a very precarious state and after a fortnight only he went to the Kelling Sanitorium. He came home again on the 28th Oct. last and after thirteen weeks of illness, bravely and patiently borne, he died on Feb 2nd. He was 24 years of age. He was well known to many parishioners. Before the war he was Local Secretary to the Juvenile Branch of the Rechabites Club. He was a keen cricketer and for two seasons acted as Secretary to the Hethersett Cricket Club. We extend our sympathy to his relatives and friends in their bereavement. It is likely that Ray suffered from inhalation of mustard gas. This type of gas caused blistering burns to any exposed flesh and also affected the nose, throat and lungs. Resulting scar tissue could make the sufferer susceptible to pulmonary tuberculosis and this is probably what happened to Albert. Kelling Sanitorium was used chiefly for the treatment and recuperation from TB. 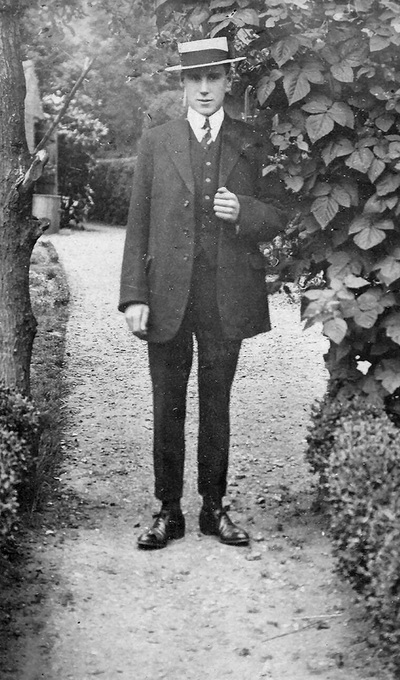 He was buried in St Remigius Churchyard on February 6th, 1920. The headstone is still readable today and is the only local one for a fallen serviceman of the Great War. He is also remembered on the British School Tablet now in the Church Hall in Henstead Road. 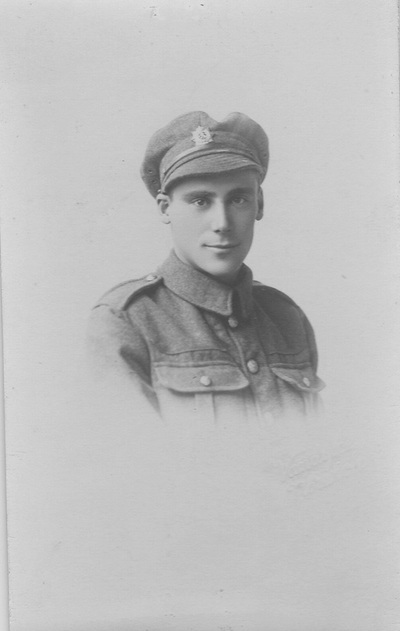 Sadly his elder brother Harry died whilst serving in Egypt and was also taken through illness. The grave in St Remigius Churchyard remembers both brothers. Albert's death is not recorded in the Commonwealth War Graves Commission lists as the organisation stopped recording the fallen after August 1921 and it must be assumed that Albert's death was not reported either as an oversight or simply because of his family's wishes. 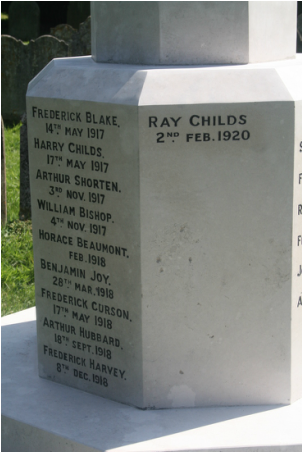 The name of Ray Childs was added to the Hethersett War Memorial in 2014 as part of the village commemoration of the centenary of the start of the First World War.